The Northeast Ohio Regional Sewer District protects public health and the environment by leading effective wastewater and stormwater management. As the largest wastewater treatment provider in the State of Ohio, the Sewer District spans 380 square miles, serves 62 communities and one million residents, and treats 90 billion gallons of wastewater a year. In addition to its award-winning treatment plant and laboratory performance, the Sewer District's Project Clean Lake construction program will reduce annual Lake Erie pollution by 4 billion gallons by 2035, while its Regional Stormwater Management Program addresses widespread inter-community problems like flooding, pollution, and erosion. We offer a competitive benefits package including: Health Insurance, Various Retirement Planning Options (Ohio Public Employee Retirement System & Deferred Compensation), Group & Voluntary Life Insurance, Flexible Spending, Employee Assistance, Tuition Assistance, Corporate Discounts, and more. We also have an active Health & Wellness Program. 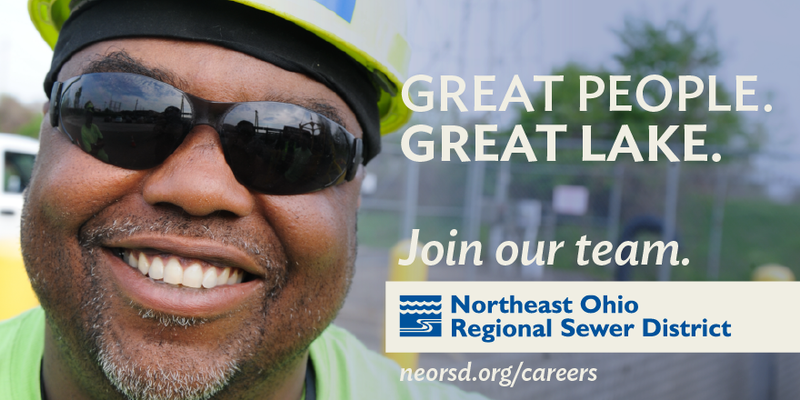 NEORSD is an Equal Opportunity Employer. We are committed to fostering a diverse and inclusive workforce, recognizing the full range of human differences and similarities. Through our unwavering efforts to leverage the potential of our diversity, we continually strive to build and foster an environment that respects each individual. We encourage and promote innovation, and provide opportunities for all employees to interact, communicate, and realize the full potential of their talents.